Feminine and glamorous, the Valentino brand is loved by chic women all-over the world for the range of clothing and accessories that has been designed for the female form. 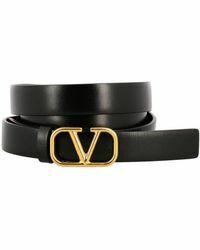 The brand extends to numerous sub-brands, such as Valentino Roma, which is designed to be worn every day. 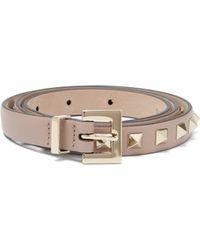 The range of belts from Valentino includes subtle skinny studded belts, rockstud leather belts and square joint wide leather belts. 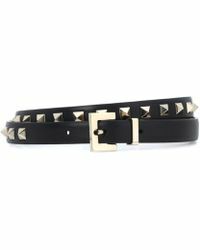 Shop the patent leather designs to bring a touch of class to any outfit, or opt instead for the statement fringed belts 'this range offers many ways to add drama to your look.